A lot of times I struggle to find the energy to get myself up and to the gym. Either I’m having a bad day, it’s muggy outside, or I’m just a little bit too tired. What I’ve noticed, is that on those days, if I do manage to exercise, I feel a little bit better after. Once I looked at some information online, I understood that going to the gym is very beneficial in changing your mood and making you feel energized. The main factor here is your endorphins. They come from the pituitary gland and central nervous system, and tell us either when we are in pain, or when we are happy. 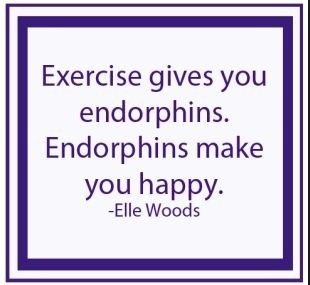 The endorphins are what are known to give someone a runner’s high when they get into your bloodstream. Along with endorphins, another chemical released is dopamine. Studies have shown that with age, the levels of dopamine in the body begin to decrease. 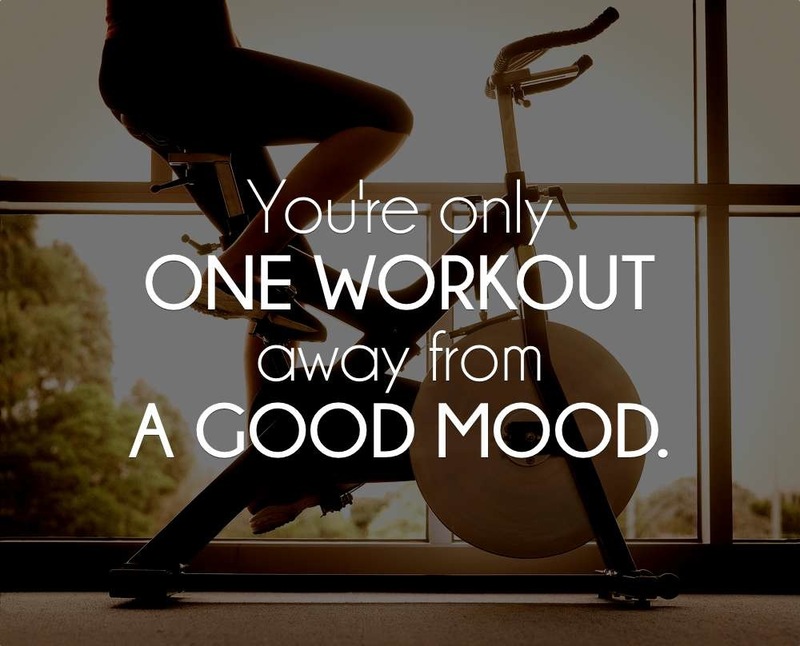 Exercise is the best way to stimulate this neurotransmitter, and get your body feeling good and energized. Exercise not only releases these chemicals which make you feel good, but it also will help you decrease your stress levels. It is interesting how this works: When you exercise, you are stressing your body, but at a low rate. The more you do this, the better your body becomes at handling this low level stress, and the better it will be at handling other stressors in your life. As a person who stresses about everything, this is very good to know. Here at Penn State, a study was conducted with 190 students. They were asked to keep a journal for eight days, and report on their physical activity and daily experiences. When noting their physical activity, they rated it based on how intense it was. The results were published and showed what they had expected. Those who engaged in more physical activity were reporting more pleasant experiences than those who were not exercising as much. To simply summarize the information, yes, exercise will make you sore, but it will also make you feel better overall. By releasing certain chemicals during a workout, we are able to feel energized and more positive. This entry was posted in Uncategorized on October 21, 2016 by Anna Josephine Wisniewski. No matter what it is, going to the gym or even taking a walk always makes me feel happier. I never understood why running on a treadmill could relieve so much of my stress or make my day 10x better than it was but it does. However, I never even thought about some of the things you mentioned that causes us to get happiness from working out and found that to be very interesting. Personally, I know that working out always makes me feel better. On the sluggish days I always force myself to get up and moving because I know how rewarding the feeling afterward is. I never took into account the chemicals our body releases in order to feel this satisfied post-workout feeling. It was very interesting to find out the two chemicals responsible for this. I find this article interesting because I love working out! 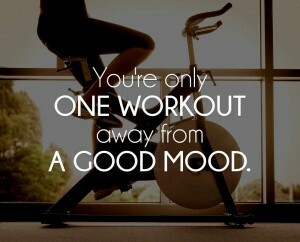 I’ve always wondered why the gym makes me feel so much better when I’m having a bad day. In fact, there are way more benefits to working out rather than just for exercising. In this article, http://www.helpguide.org/articles/exercise-fitness/emotional-benefits-of-exercise.htm, I learned about more benefits that is brought by working out and exercising. To be honest most of my friends go to the guy on a daily basis and my best friend is a personal trainer. for myself, I hate working out and i get no happiness from it. There is a possibility of having a feeling of success but other than that, it makes me feel as if i doing nothing for myself because i never see results. Of course i was probably going to the gym and coming home to look in the mirror to find no “gains”. Is their anything i can do to help myself enjoy working out? Is there certain techniques that make you feel overall better mentally and physically? I find your comment interesting because I find working out to be my favorite part of the day. I think that the first step to enjoying the gym is to go with friends and forget everybody else in the gym. There will always be someone bigger and stronger than you in the gym. Once I got that out of the way I really started to enjoy the gym. Pair that with the social scene you and your friends can make it. Once you have those two things down you can feel good about doing something good for you. Here is a list of 6 reasons going to the gym makes you happy that you might find you relate to. I loved how you used a study that was done at Penn State, it makes the information seem more real. I am someone who frequents the Intramural building every week. The more intense I workout, the more sore I feel. I would take being sore any day though after learning about the chemicals that get released while working out. I agree with you that being sore = actually feeling better energized and more positive.